This publication of the Association of College and Research Libraries (ACRL) was prepared by the ACRL Research and Scholarly Environment Committee (ReSEC) as a communication resource about providing protections for sensitive data that may be used or produced in the course of conducting academic research. This primer provides a quick grounding in the whats, whys, and hows of current regulations and practices for protecting sensitive data. It is based on work created in the Netherlands for the General Data Protection Regulation in EU law, but brought into the United States context. 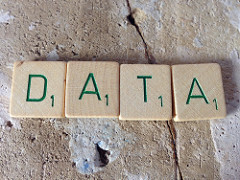 Research data also includes information about the context in which it was produced. Without this information, research data may be obfuscated, inaccessible, and lack interoperability. Why Libraries and Research Data? Historically, libraries have served as institutions where information is collected, curated, preserved, described, discovered, and accessed. Putting these traditional library activities into data terms illustrates why academic libraries and librarians should be involved in the management of scholarly information and research data. As libraries we recognize research data as a scholarly asset that should be stored and made available for reuse, just as any publication is. This is particularly important as data has become more widely accessible in its digital form and its use for experimental validation and reuse in extending the boundaries of knowledge has become more practical. These are just a few of the many reasons why academic libraries should be engaged in the challenges of research data stewardship, curation, and management. MANTRA Research data management training for multiple audiences in an interactive web-based environment. Includes a DIY librarian training kit. DataONE Librarian Outreach Kit. Ten modules addressing different facets of research data management. NECDMC The New England Collaborative Data Management Curriculum is case-based training intended for undergraduates, graduate students, and researchers in health sciences, sciences, and engineering. DMPTool: Interactive tool for drafting data management plans for a variety of funding agencies and institutions. ACRL Primer for Protecting Sensitive Data in Academic Research, by Amy L. Nurnberger, Pamella Lach, Abigail H.Goben, Sandra De Groote, and Yasmeen Shorish. Provides a quick grounding in the whats, whys, and hows of current regulations and practices for protecting sensitive data. Research Data Curation Bibliography by Charles W. Bailey, Jr.
Special thanks to Amy Nurnberger, Research Data Manager at Columbia University, for creating and compiling this information on Research Data Management for the ACRL Toolkit in the Fall of 2015.